Phil Craft, former Kentucky State Apiarist, sent the following note asking for our help with a survey about varroa mite monitoring. As you may know, I consult for Veto-pharma, the maker of Apivar. I serve as their U.S. technical adviser. 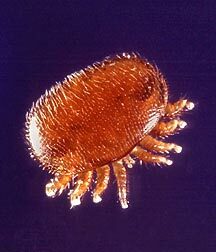 Veto-pharma is interested in the practices of beekeepers with regard to monitoring for varroa mites. We have developed a SHORT survey and would appreciate the participation of beekeepers. Also, giving your name at the end of the survey is entirely optional.